Experience China like never before with our Gap Year in China program. Learn Chinese in China and explore one of the world’s most fascinating nations simultaneously. Overall we have four Gap Year China programs, each with their own niche allowing us to cater for different preferences. 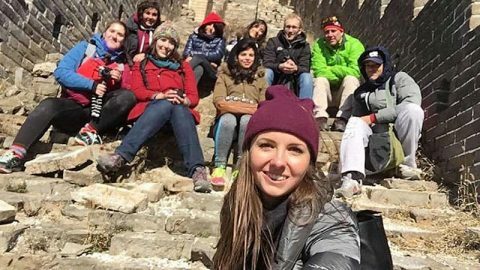 Our students become close friends and experience some once in a lifetime memories together with our China Gap Year program. Perhaps you want to become fluent in Mandarin whilst working as an Intern? Maybe you want to experience “real China” where no locals speak any English? Or how about just creating your very own gap year, tailored exactly the way you like it? Whichever option tickles your taste buds; you are sure to experience something like never before. China has a 5,000-year-old civilisation with a wealth of history and culture to delve into. We have four excellent Gap Year programs in China which all provide their own unique challenge. 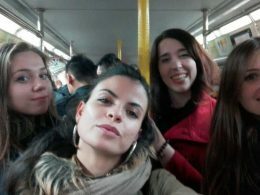 Our Full Immersion Gap Year in China gives you the chance to mix the big city life in Beijing or Shanghai with Chengde, a city where you will not see a foreigner all trip. The Chinese Language Year offers intensive study abroad for 36 weeks, over two semesters allowing you to achieve fluency in Mandarin. If you want to teach English in China then our Chinese and English Gap Year is exactly what you’ve been looking for. Or if you wish for more flexibility then you can even build your own gap year in China. Whatever Gap Year in China you wish to partake in, you are guaranteed to have the experience of a lifetime in one of the world’s most fascinating and fastest growing countries. Learn Mandarin whilst experiencing full Immersion in China on your path to becoming fluent in Chinese. Experience the hustle, bustle and bright lights of Beijing or Shanghai before moving onto the much smaller Chengde (not to be confused with Chengdu), a city with no foreign influence, no Starbucks or McDonalds, and no English. You will acclimatise to the Chinese culture as your start your trip in either Beijing or Shanghai, you decide. That, in itself is an adventure you will never forget. Shanghai’s incredible modern influence is littered with remarkable skyscrapers wherever you look. Beijing, equally large, has a whole host of Chinese history and culture to explore. Whichever you choose, you are in for quite an experience. After this you will be whisked away to Chengde. A city with just 500,000 people (this is small in China terms) and no foreigners. You will live and breathe Mandarin and speak no English. This can be a testing experience. You must be warned if you aren’t sure about experiencing full Chinese Immersion, Chengde might not be for you. Chengde is very much “real China”, the pace is much slower, the people are friendly and the Mandarin spoken in Chengde is the most standard Mandarin you will experience in the whole of China. Chengde is also a UNESCO world heritage site. 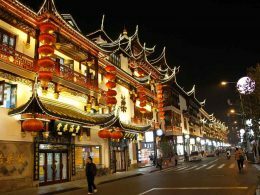 The city oozes Chinese culture so to experience this you must be aware you will not be able to speak anything but Mandarin to communicate with locals. Our pricing below covers 3 month and 6 month Immersion Programs. Included in the price is return train ticket from either Shanghai or Beijing to Chengde and also a Survival kit which you can find out more about on our Services page. We have a number of accommodation options on top of the Immersion program which include shared apartments and homestays. Our apartments are a great option if you are travelling on a budget. For information regarding our Chinese Homestays visit our homestay page. Homestay’s will include breakfast and dinner. There are various options for vegetarians, vegans and any other dietary needs you may wish to inform us of. NOTE – The Beijing apartment included in the table above is the small room option in our standard apartment. An upgrade to the large room or downgrade to the economy apartments are all possible. Contact us for more information. 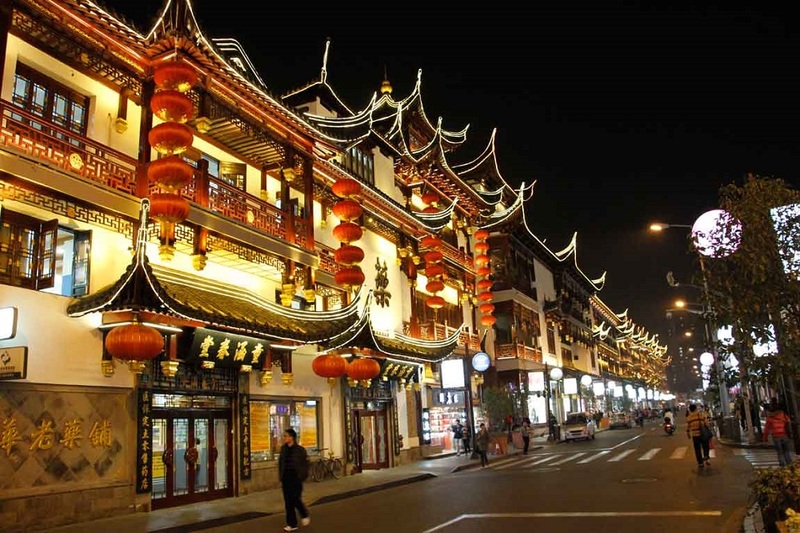 Study abroad in China for two university style semesters to help you achieve Chinese fluency. Enjoy our popular small group classes which have a maximum of six students and an average of less than three students per class. Every student has their say, every student speaks Chinese and close bonds are formed between students and teachers. Each weekday you will study for four hours making your weekly study at school total 20 hours. Each semester lasts 18 weeks meaning you enjoy 36 weeks of Chinese study in total but if you wish to extend you you can. You can speed up your Chinese progress even further by opting to stay in one of our carefully selected homestays in China. 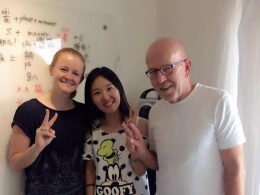 After 36 weeks of intensive study and with the potential of living at a homestay many students would expect, and do, reach HSK4/5 meaning fluency in Chinese. Please note that Beijing, Shanghai, and Taipei semesters start on different dates. Both Beijing and Shanghai Chinese Language years are the same cost. Please note if you wish to upgrade your accommodation to a Chinese Homestay then contact us and we can arrange this at an extra charge. Your Mandarin will naturally progress quicker at a homestay and overall, 80% of our students opt for a homestay. 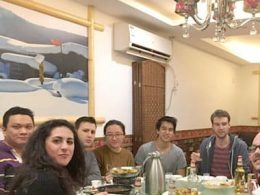 If you’d like to try out a single semester lasting 18 weeks, then please do take a look at our Beijing Semester and Shanghai Semester Programs. Our Chinese and English Gap Year is ideal if you are on a budget but still want to learn Chinese in China. The program totals 22 weeks with your first four weeks spent learning Chinese at either our Shanghai or Beijing school, you choose the city. After you’ve settled into China and have some Chinese under your belt you will enjoy 18 weeks teaching English in a smaller city outside of Beijing or Shanghai. It’s a truly great opportunity to explore China’s wonderful history and culture, whilst still learning the language on a budget. LTL will provide you with 2000CNY per month and an apartment whilst you teach English to Chinese students. This is ideal if you are on a budget or looking to spend less money. Please Note – There is a Registration fee for this program which is 500CNY. NOTE – Homestay program includes homestay accommodation, half board. Shared apartment program includes a large Room shared apartment, en suite bathroom, no board. 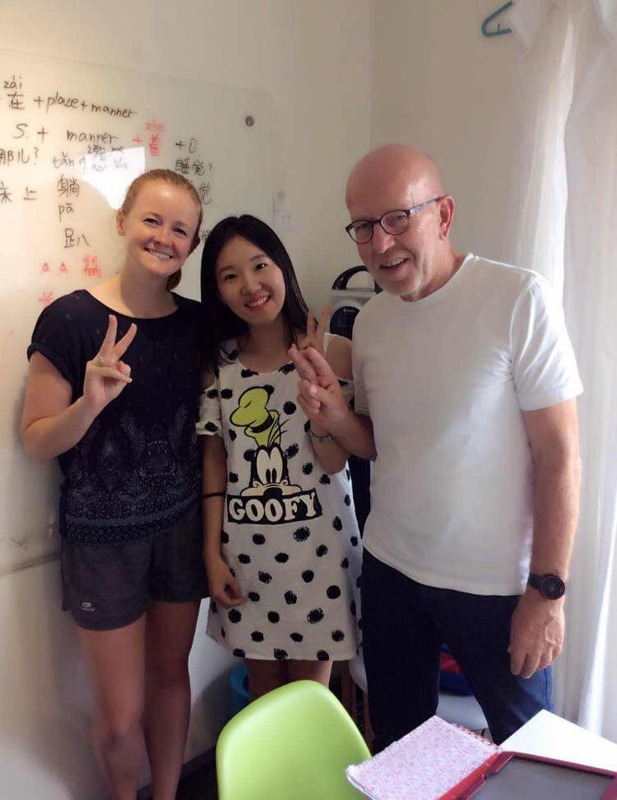 18 weeks of English teaching in another city in China near Beijing or Shanghai. Airport pick up and drop off at apartment. We also give you the chance to build your own gap year in Asia. Build the program you want, when you want and where you want. Fancy 5 weeks in Shanghai learning Chinese in one of the worlds biggest and most exciting cities? Why not then head to Beijing for a further 15 weeks and kick on your Chinese further with individual Mandarin classes in China’s capital. You could finish off with 16 weeks in Chengde where you will be sure to achieve fluency in Mandarin. No foreigners, no English, no Starbucks. Welcome to real China. This is just an example of what you could build. Come and chat to us to find out more. The China Gap Year can last as long as you wish so you can build it however you suits you best. I am really enjoying my experience in China. It's really easy to make friends, as everyone is in the same boat. We are all new to China and discover things together. I'm really happy that I came here for my Gap Year. Between my bachelor and master studies I performed a gap year in order to collect enriching experiences. During my self organized gap year I spent six months in China, with the support of LTL. I am really enjoying my experience in China so far. I think it’s a great choice for me, as it’s not like a regular Gap year in the USA, Australia or another English-speaking country. China and Chinese culture is so different to the West, and Mandarin language is even more different. Living in Beijing is really interesting and I feel like I am broadening my horizons. I am learning lots about how German culture compares to other places and how different it is from China. I think that learning Chinese will be a great skill for my future. Studying Mandarin is a big challenge when you first start, but it’s also really fun. I think I’m making quite quick progress which keeps me feeling motivated. I like living with a Chinese homestay, and they make me feel like one of the family. I feel that as I have got to know them better, they have helped me to experience China as a real local rather than as a tourist. My Mandarin classes are great. I enjoy that they are really connected to my day-to-day life, rather than just learning grammar and vocab. It’s really easy to make friends, as everyone is in the same boat. We are all new to China and discover new things together. I’m really happy that I came to China and LTL for my Gap Year. 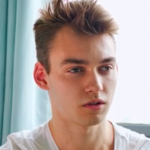 My name is Kevin Riehl, I am 22 years old and from Germany. Between my bachelor and master studies I performed a gap year in order to collect enriching experiences. During my self organized gap year I spent six months in China, with the support of LTL. LTL’s services was always excellent. The survival kit at the beginning was very helpful, as well as the support with opening a bank account and getting a Chinese Simcard. 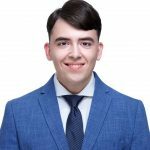 Furthermore LTL supported me to find a great internship that exactly fits into my field of studies and let me grow a lot personally. 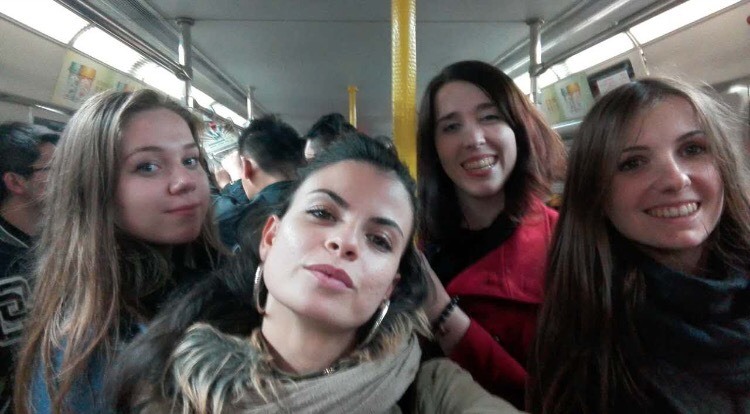 The support for finding clean, safe and friendly homestays was outrageous; for me it was more than a homestay, it was like a real, warm family. The lessons at LTL have been very good and the teachers support was very helpful. In six months I managed to improve my Chinese skills a lot and passed two HSK exams (level three and four). 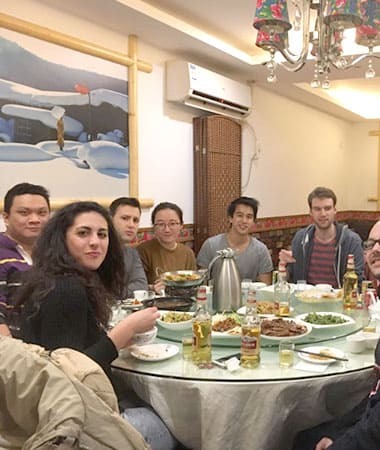 Learning Chinese at LTL enabled me to use the Chinese language independently and to travel all by myself through China, create a professional network in China and make a lot of very good friends. I thank you very much LTL, I lived the language and enjoyed my time in China and I will never forget it. Will I be able to travel outside of class? Absolutely, you cannot come to China and not take advantage of this incredible country. China is incredibly diverse and Beijing, Shanghai and Chengde offer a wealth of incredible memories. You can also venture as further afield as you wish. The more you explore, the greater the experience. You can for example join one of our weekend trips to see the Terracotta army in Xian, the gardens in Suzhou or the beer festival in Qingdao. You can also spend breaks like Chinese New Year or long weekends exploring other parts of the country from visiting the Ming Tombs in Nanjing to climbing the Himalayas in Tibet. China is huge and there is a lot of fun to be had. Do you have lessons over Christmas? As Christmas isn’t a holiday in China most schools and offices remain open for business. However, you are welcome to return home for Christmas, we’ll need to adjust your program though so please discuss this with us before you come to China. What are living costs like in Shanghai, Beijing and Chengde? Chengde is, not surprisingly, the cheapest of the three cities and you can get by on very little each month and still live a decent lifestyle. Beijing, being a capital City and Shanghai being the metropolis it is means both cities are much more expensive than Chengde but you can get by for little if you are shrewd. For every smart, expensive restaurant there are hundreds of local restaurants and street vendors which provide wonderful, local food for example. How about making new friends? This is the easy part. Making friends at LTL is a given. Many will actually become friends for life such is the nature of the community at LTL. Students come and go every week so there will always be new people and many students spend many evenings together studying, socialising and exploring. Our staff are also very sociable and enjoy getting involved with students too. We are one big family and it means making friends is so easy. Can you help me build a gap year? Sure, if you need advice on what is the best program for you just start a live chat with us or drop us an email. We offer many different opportunities and flexible study abroad programs so rest assured we will find something for you. What happens with the internship? If you wish to partake in an internship in China whilst studying Chinese then we will set you up with one. Speak to us about your preferences and we will do our best to find the most relevant match to you. Further details we can discuss with you personally to make your experience in China as smooth and comfortable as possible. 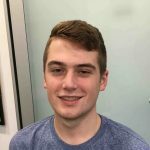 Can I expect to reach fluency after a gap year in China? Fluency doesn’t just come to you, it has to be earned but after 36 weeks this is certainly possible. Staying at a Chinese Homestay will increase your chances dramatically. Studying outside of class and completing your homework is also essential. So far all of our students have, at the very least, reached HSK4 from a China gap year. A lot depends on what you put in outside of school but if you want it and work for it, you will get it. Enjoy the experience and don’t ever give up.